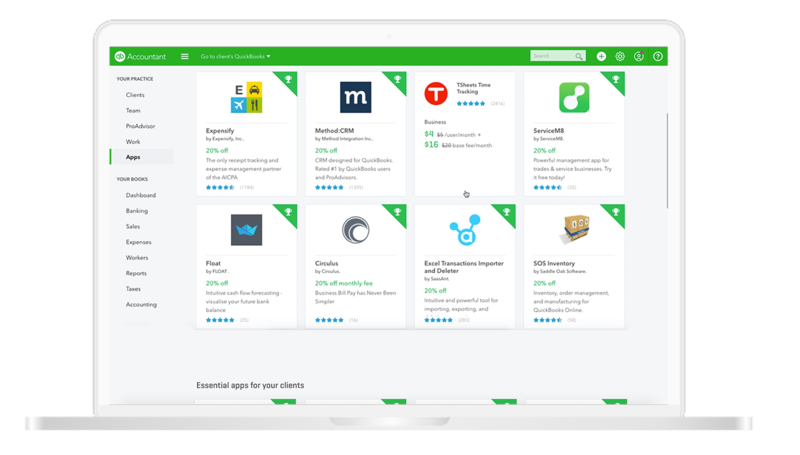 To add another revenue stream to your practice we are rolling out Advisor pricing for selected apps for accountants and bookkeepers who use QuickBooks Online Accountant as part of our new QuickBooks Accountant Apps Program. Apps in the new program will be available at a 20% discount when you purchase on behalf of your clients. You can pass this discount onto your clients or bundle the cost into your value pricing. We selected apps for the program that are highly recommended by accountants and bookkeepers, fully compatible with QuickBooks Online and support single sign on via QuickBooks Online Accountant. Plus, by purchasing apps in the program, you will receive one itemised, consolidated bill for all app purchases made on behalf of your clients at the beginning of the month. This will be available to all Advisors by the end of April 2018, so keep checking your Apps tab in QuickBooks Online Accountant for updates. Can Advisors opt-in to the program? Any Apps you would like to see part of this program? email us at qboapps-enquiries@intuit.com.